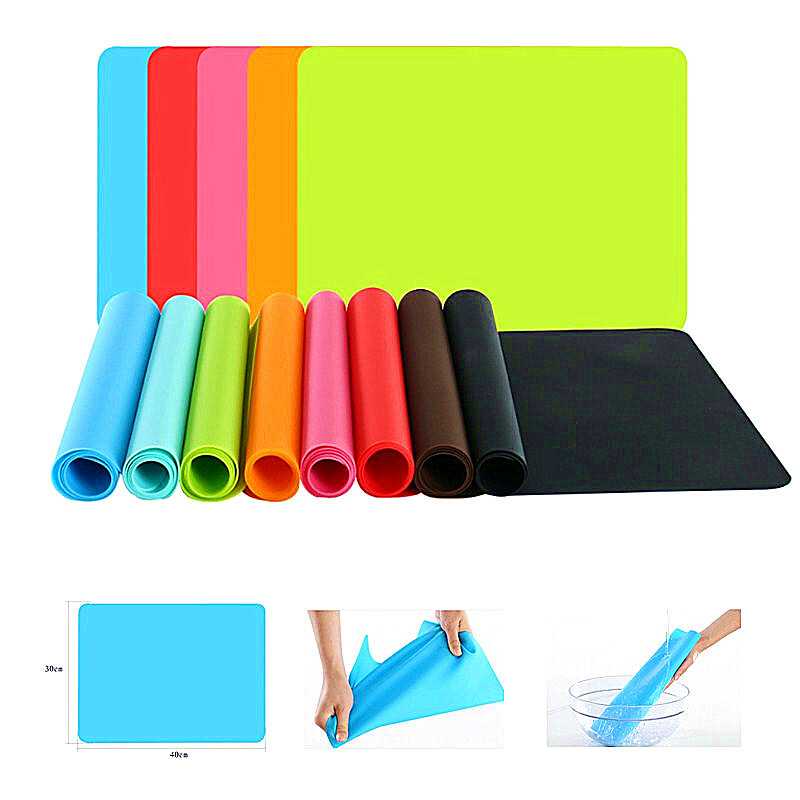 Food grade silicone material, non-toxic and tasteless. Suit for baking and holding pots, places, glasses, cups etc. Help protect your table against scratches. Soft, durable, breakable and waterproof, easy to clean and store. It is convenient to be rolled up and washed in the dishwasher. Assorted colors are avaiable. Measuring 15 4/5" L × 11 4/5" W × 1/50" THICK. 15 4/5" L × 11 4/5" W × 1/50" THICK.